Firefox 1.0.1 has been officially released by the Mozilla Foundation, with some important security fixes. An announcement and release notes are available. 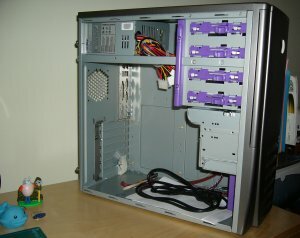 An Antec SLK2600AMB case purchased at J&R Music and Computer World for $76.02. Did anyone else notice that Google now uses answers.com for their definitions instead of dictionary.com? Here’s a news article Google News found on the subject.